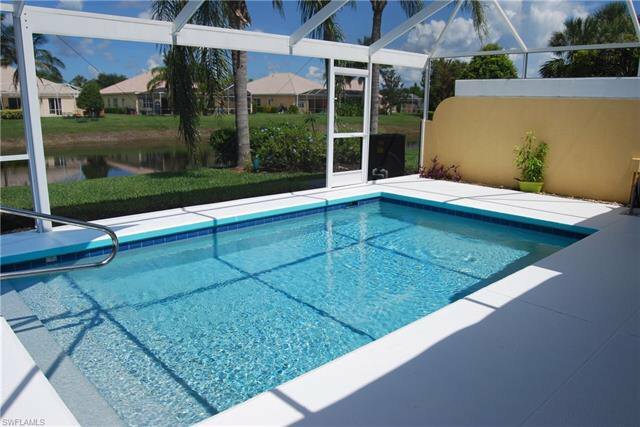 Lovely Villa with Pool. 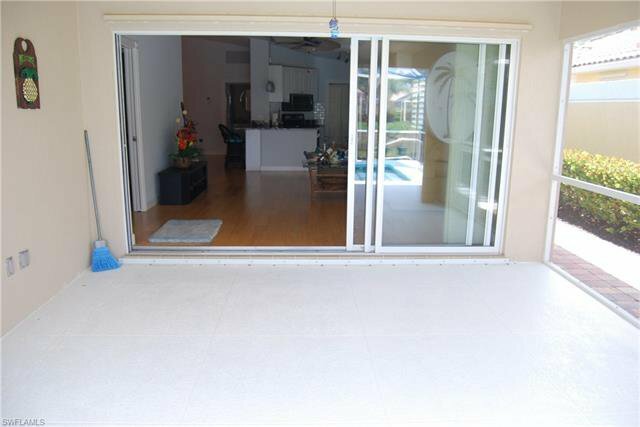 Picture window screened lanai with Lake View. 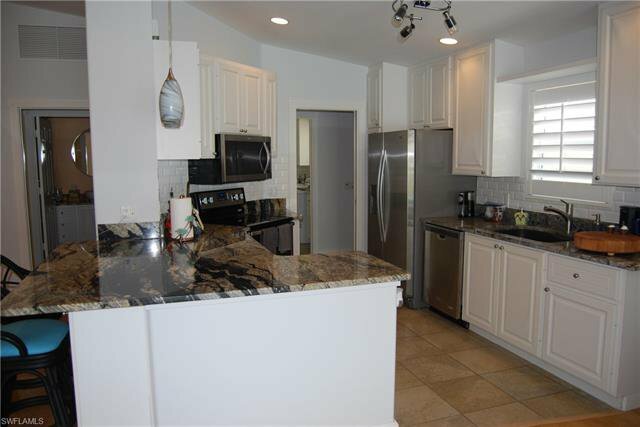 Freshly painted and Well maintained original owner with open floor plan. 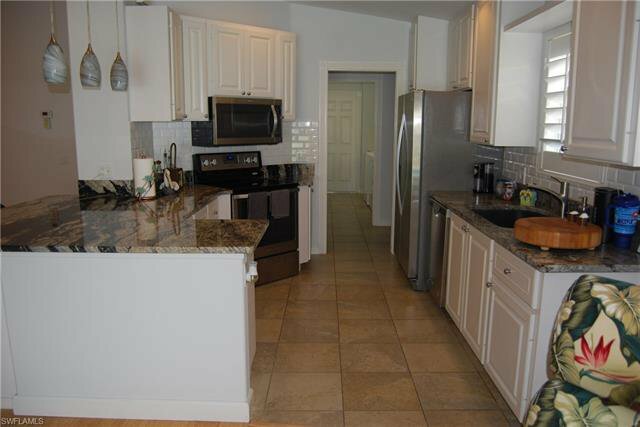 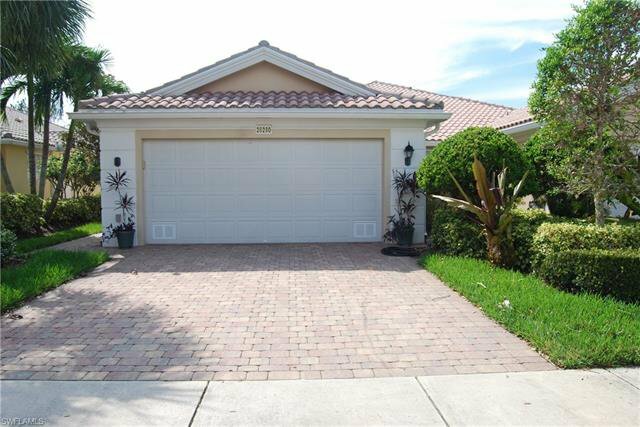 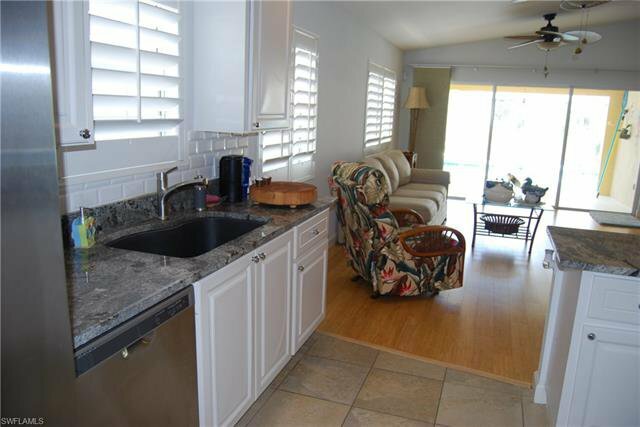 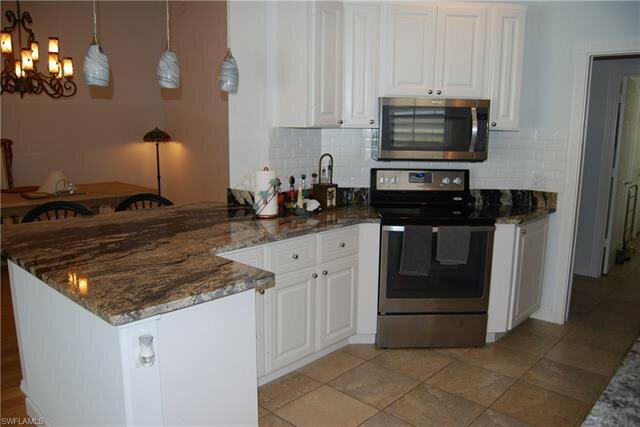 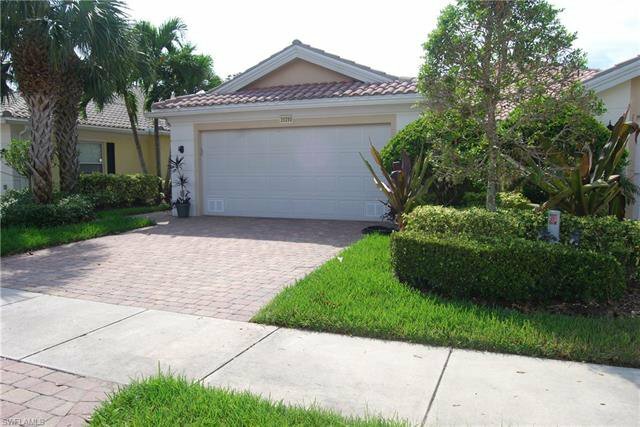 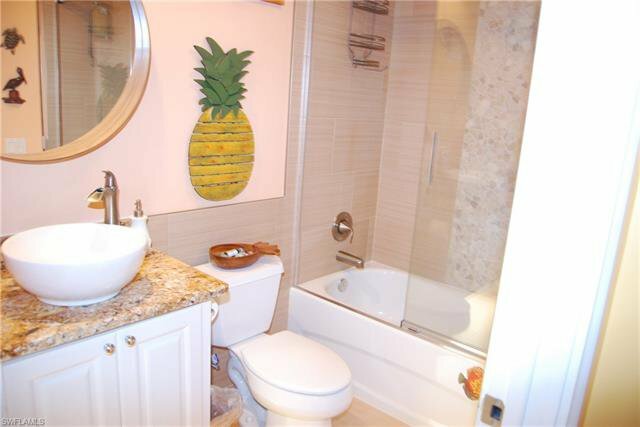 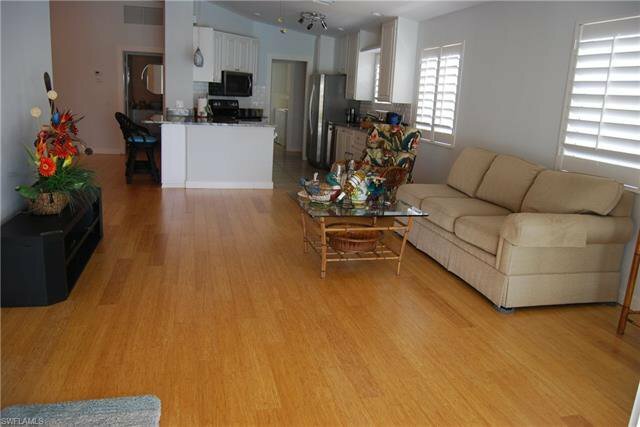 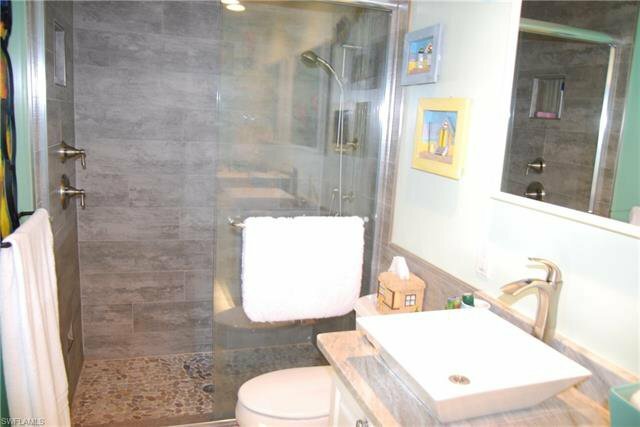 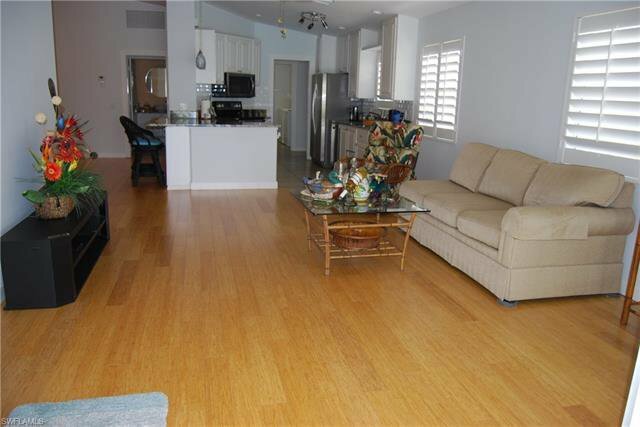 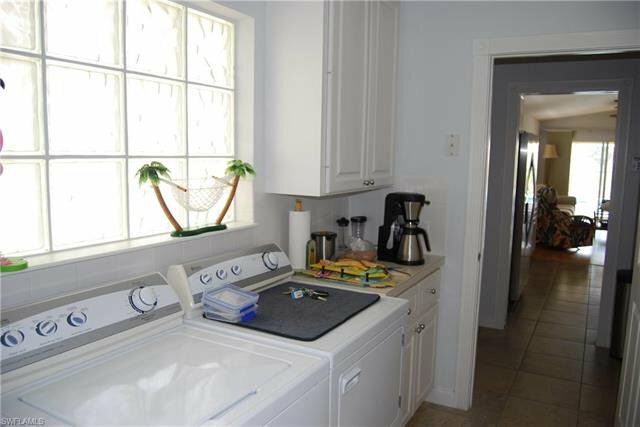 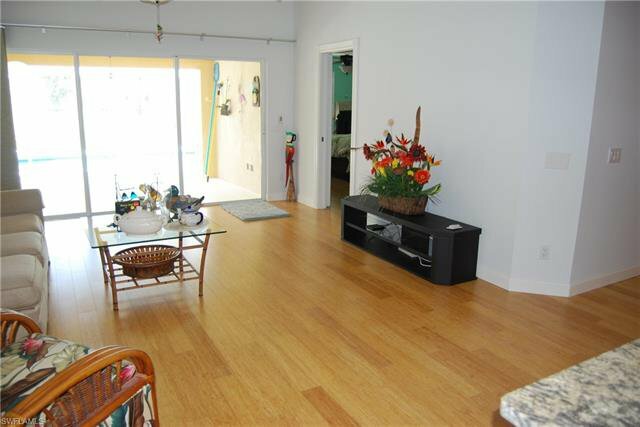 Spacious two bedroom- two bath home offers large kitchen with newer stainless-steel appliances and granite countertops. 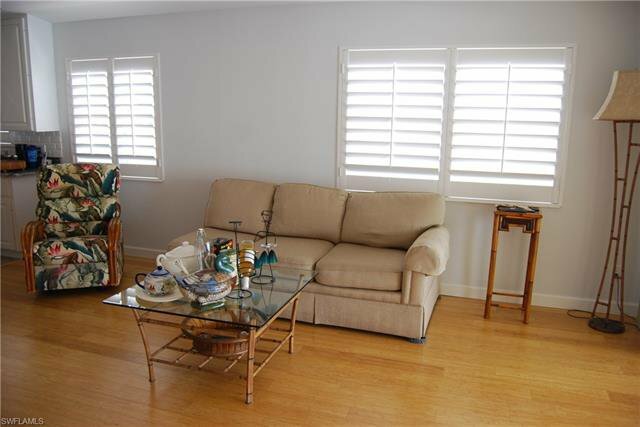 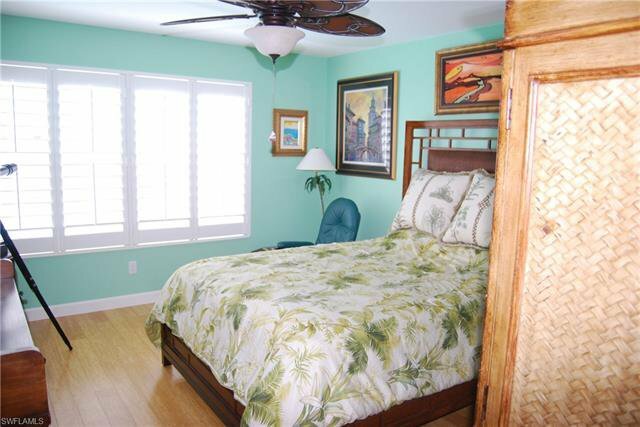 Plantation shutters throughout and flooring is tile and Bamboo (no carpet in this home). 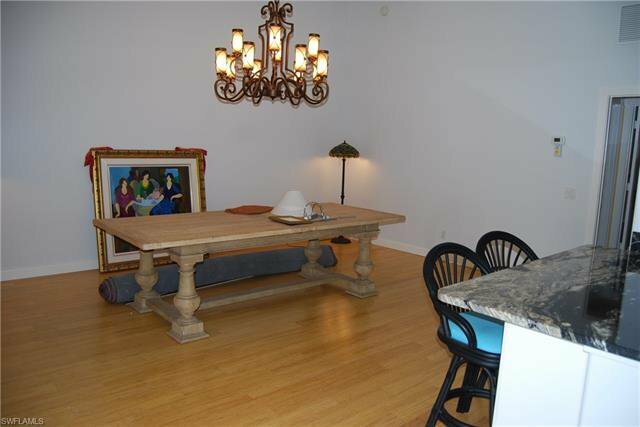 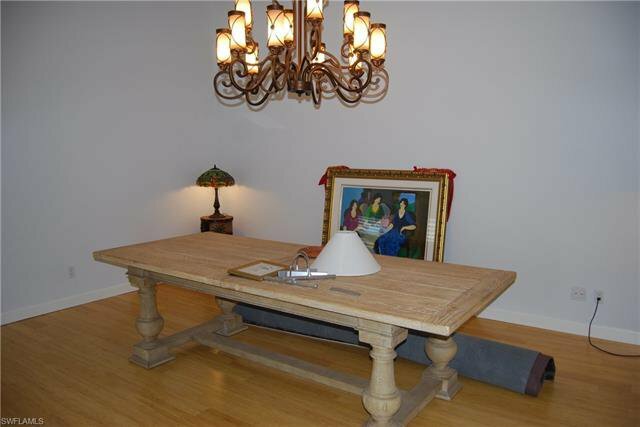 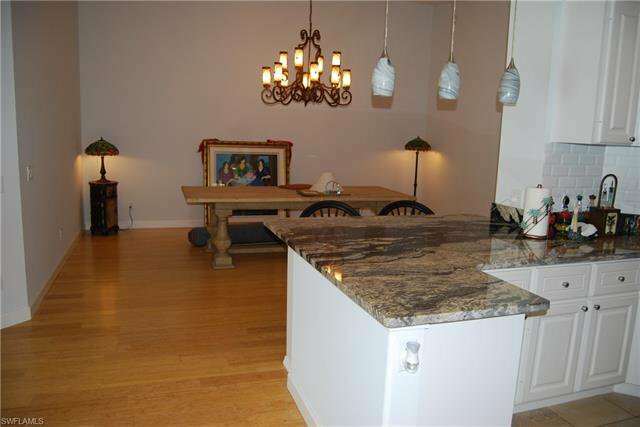 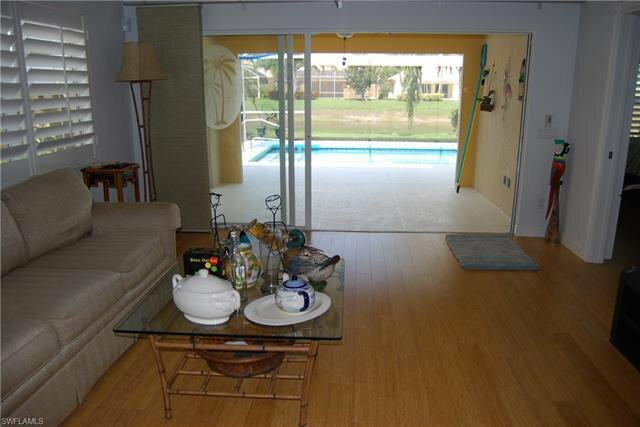 Formal dining and living room, laundry, and 2 car attached garage. 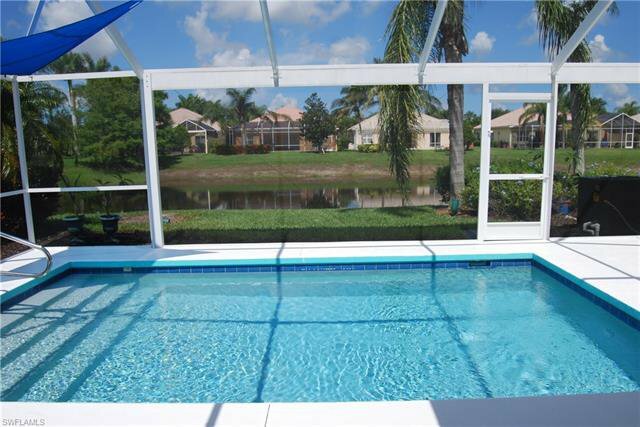 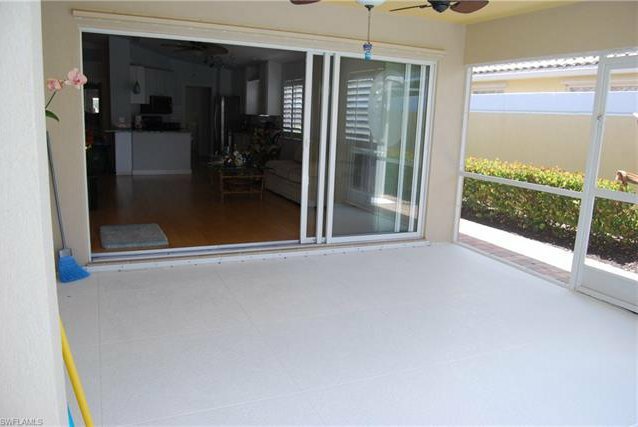 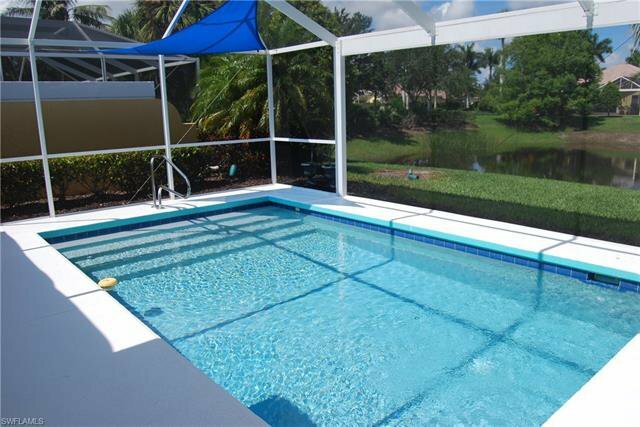 Lanai screen one year, pool with lovely view of lake. 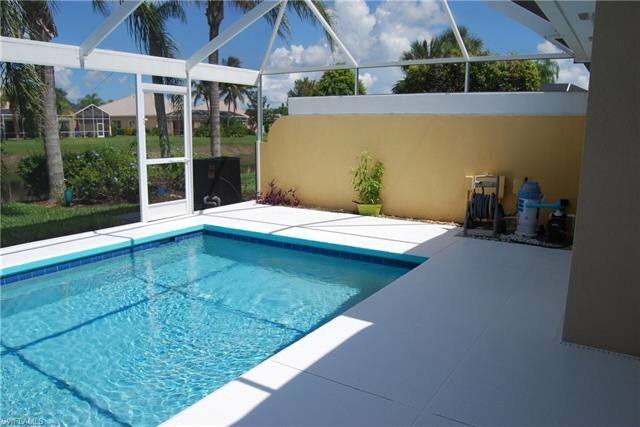 Pool has safety fence and heater. 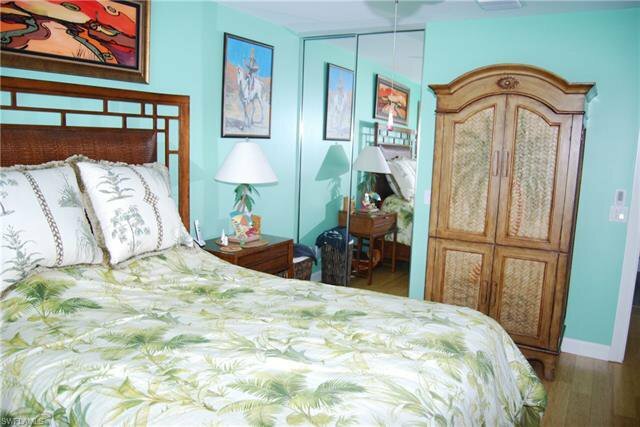 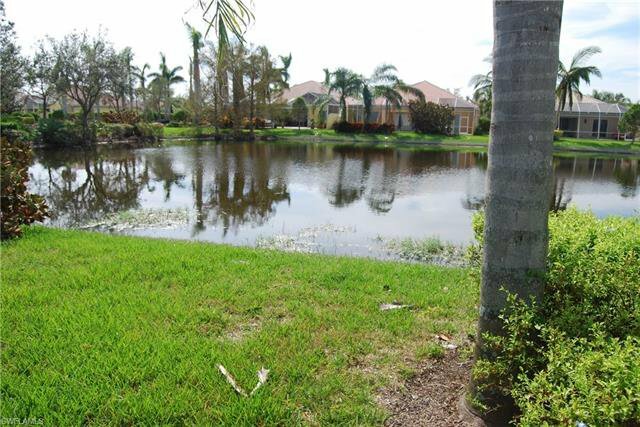 AC 5 years, low HOA fees include basic cable, lawn care and alarm. 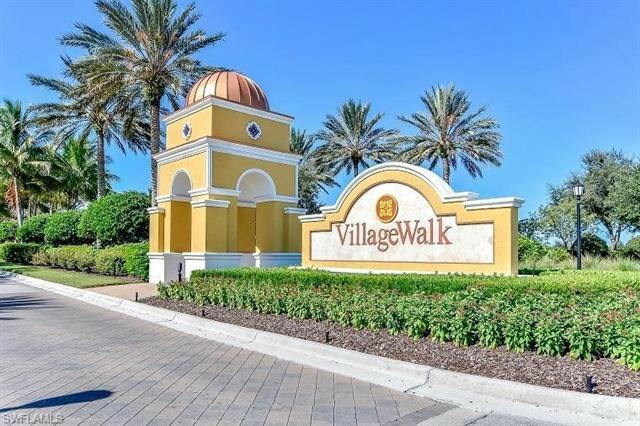 Village Walk has amenities to enjoy that includes Tennis, clubhouse, community Pool, clubhouse, basketball and bocce courts, playground, walking trails town square with post office, library and more. 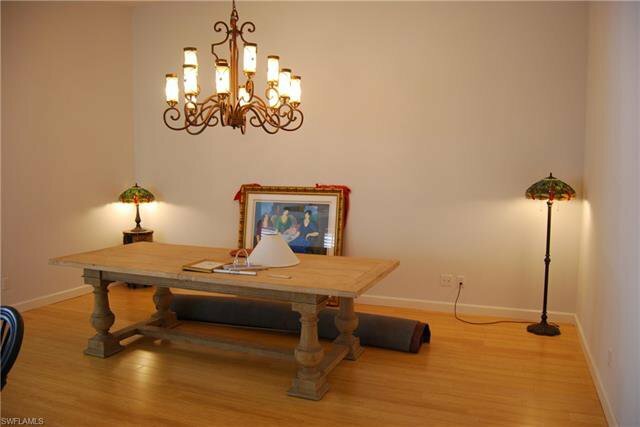 This home is original owner without pets. 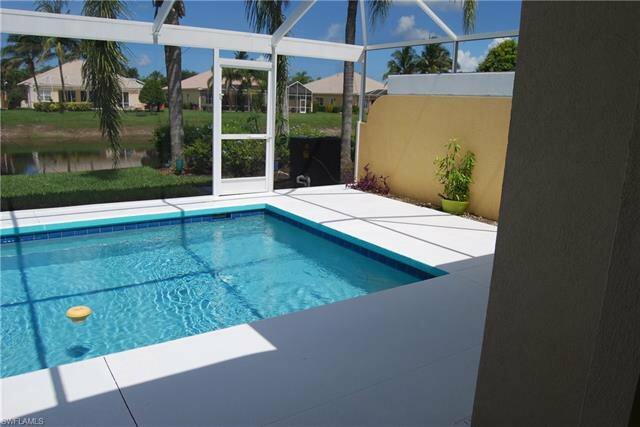 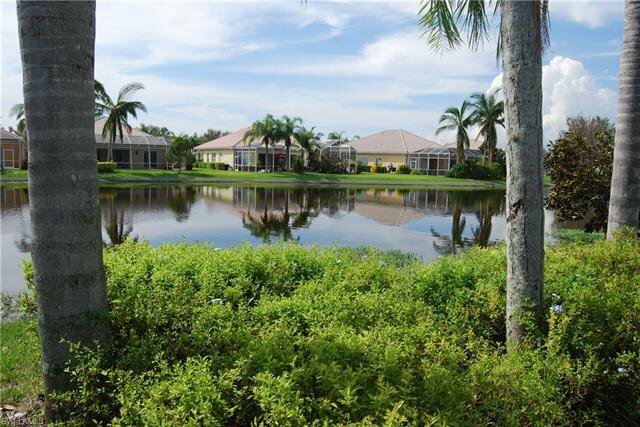 Listing courtesy of Realty Group of SW Florida Inc. 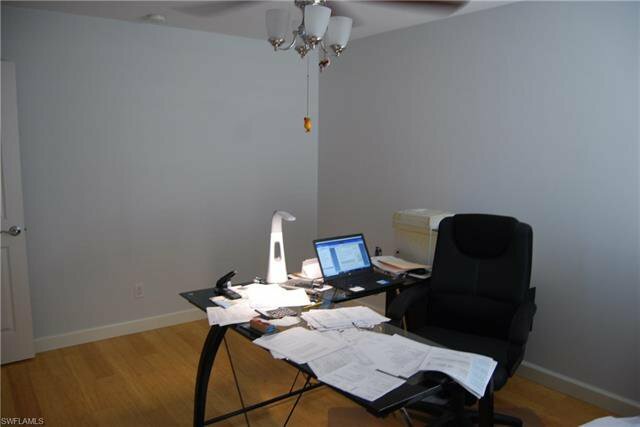 Selling Office: Coyne Residential Inc.